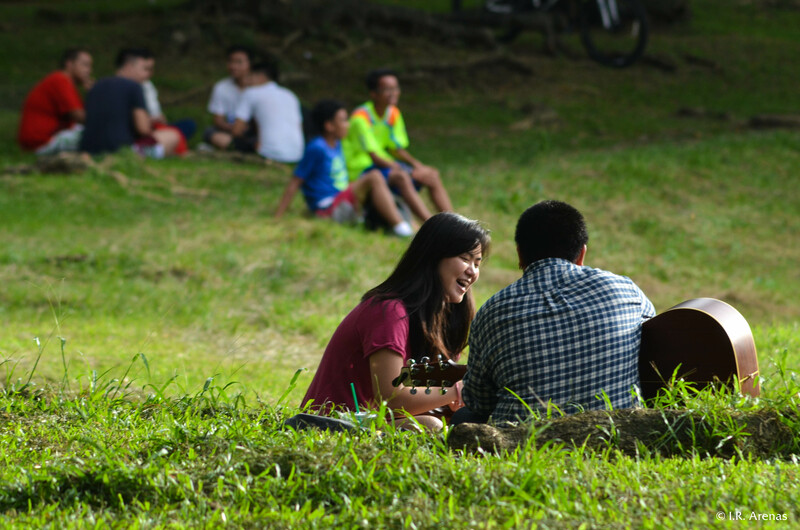 A couple enjoy their romantic moment at a university garden, which is frequented by people especially on weekends. 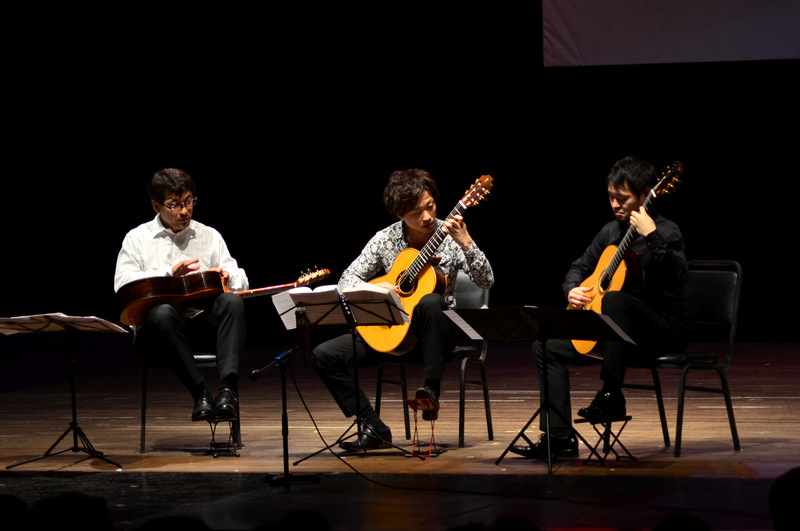 Japanese guitarists Tomonori Arai (left) and Duo Trussardi (centre and right) perform for an audience at the Abelardo Hall Auditorium in UP Diliman. 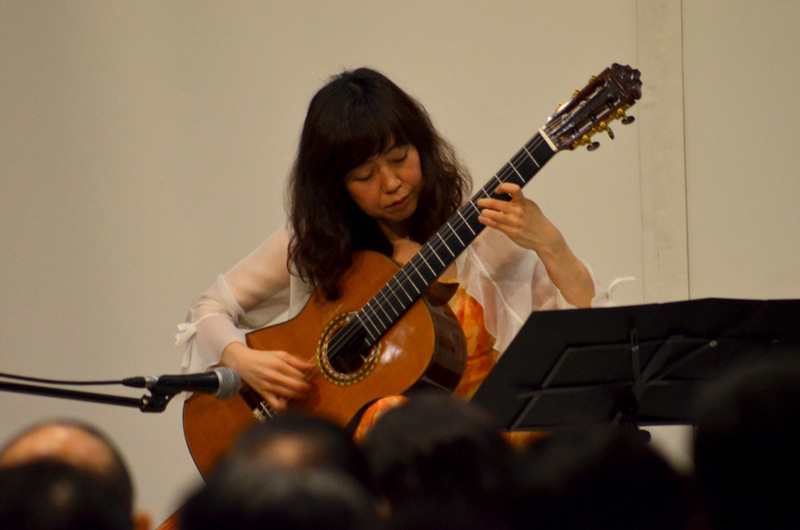 Sachiko Miyashita is a rising name as a classical guitarist. Hailing from Sapporo in Hokkaido, she has performed concerts in 26 cities in 11 countries, and of course throughout Japan. Here, she performes at the Ayala Museum in Makati, Philippines. 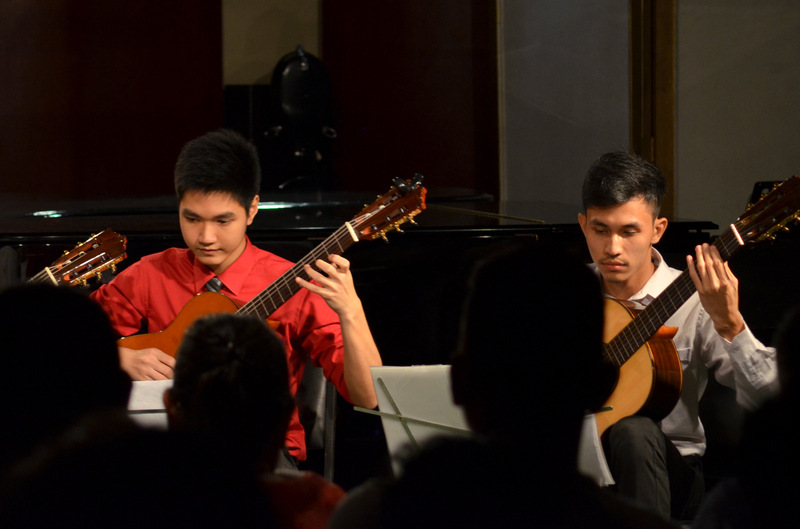 Guitar student Aljero Jimenez (in red shirt) performs before an audience during his recital at the UP College of Music.